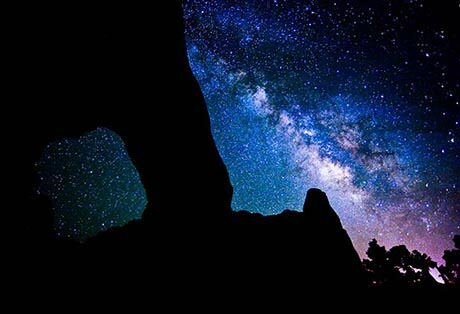 It wouldn’t be a National Park if it wasn’t great, but Arches National Park is more than great, it surpasses amazing and lands somewhere just beyond spectacular. 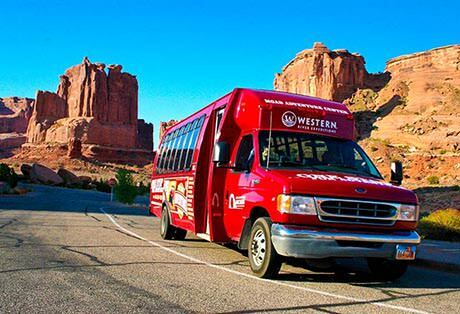 Whether you’re a hiker, explorer, photographer, scenic driver, or disgruntled participant, Arches National Park offers the experiences you’re seeking plus some you’ve never imagined. Arches National Park is easy explore on your own, but wouldn’t it be nice to actually take in the sights instead of watching the road? 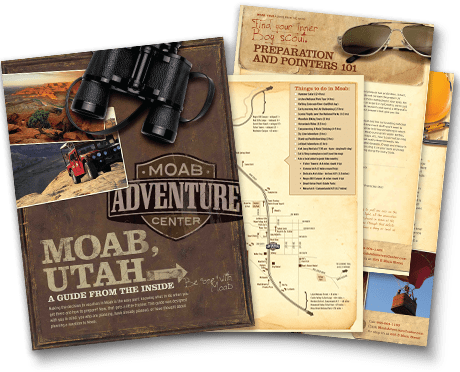 You might want to consider letting a professional navigate the driving and trails for you and ply you with interesting facts and stories about the Park, while you sit back, relax and enjoy. You are on vacation after all. 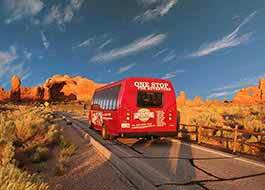 The road through Arches National Park is more than just a scenic drive. It’s the epitome of scenic drives. It’s a journey into another world, where towering cliffs and fantastic formations dominate the desert landscape. It’s a challenge, to keep an eagle-eye out for hidden arches. 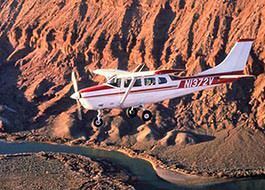 It’s an adventure in driving, sharing the road with drivers who are also keeping an eagle eye out for hidden gems. And it’s a memory, not to be missed. 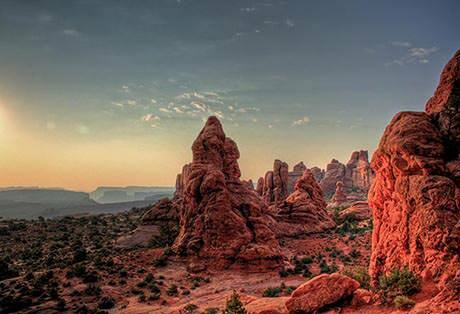 You may see pictures of a blue sky and big sun canvassing over the desert landscape Arches National Park and think, desert=hot. And you’d be right right…some of the time. 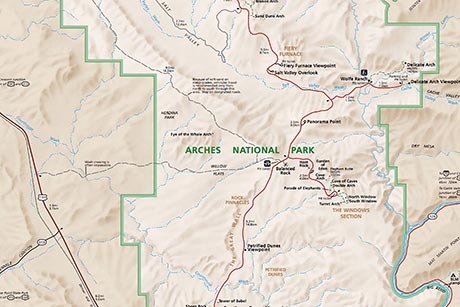 However, Arches is located in the “high desert”, and in the high desert temperatures may have wide fluctuations. 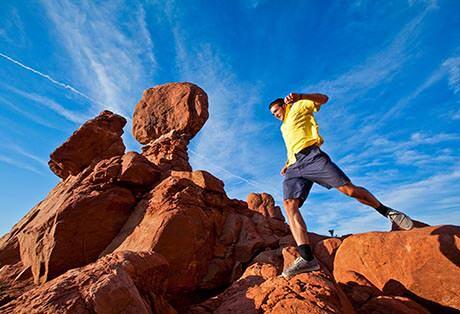 Once you enter Arches National park, you might discover you want to stay for days. It’s a strong possibility. Now, you’re forewarned, be forearmed with useful campsite information in case this happens to you. Choices, choices, choices. 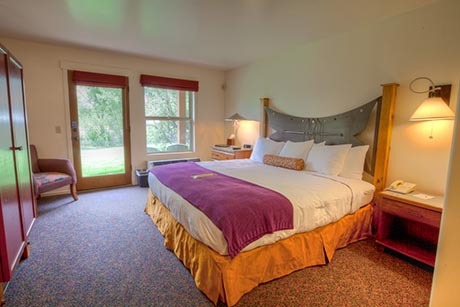 That’s what it comes down to when deciding how plush you want your accommodations to be after a full day of visiting Arches National Park. Unless you forget to make your reservations early... then the adventure may continue long after leaving the Park. 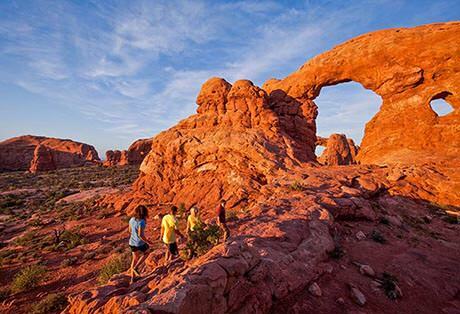 You’re in Arches National Park, any hike will be amazing. But we have a favorites list we’re willing to share. 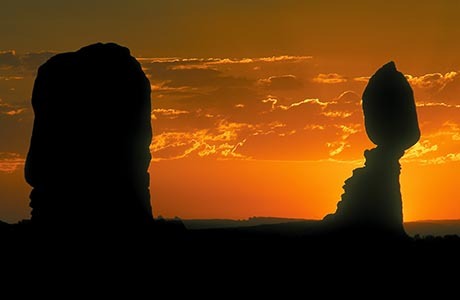 One thing about Arches National Park is you can never see enough of it. 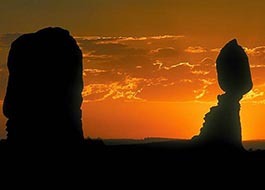 Another other thing about about Arches National Park is that your pictures probably won’t do it justice. Neither do ours, but, here are a few that make us want to go back for more. 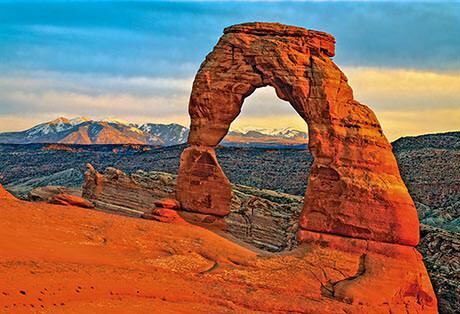 Somebody was really using their noggin when they named Arches National Park. There’s so many arches! Arches, upon arches, upon arches, upon arches in Arches. Now, we couldn’t tell you about all two thousand of them, but we’re happy to point you toward a handful of real beauties. They say there’s no such thing as a stupid question, but that’s not how it feels when you’re the one asking the question. 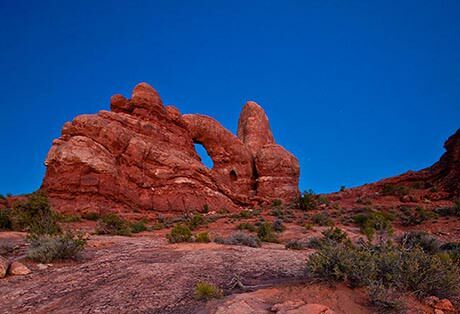 We’ve compiled a list of Arches National Park facts that may answer all your questions plus some you haven’t even thought of yet. How in the world do these crazy big rocks get all those holes in them? 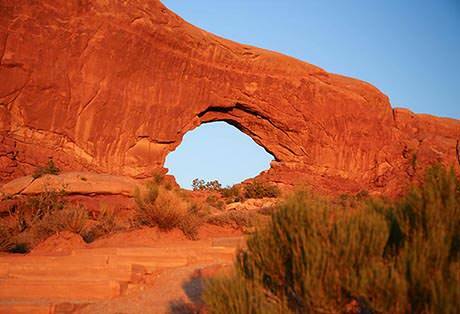 We’re glad you asked, we’d love to tell you how arches are formed. We all know the age old argument of who should have asked for directions. Think of how many pleasant drives could have been saved if only someone would have thought to bring a map. ...Here you go. Happy driving and happy exploring Arches.